Cummaudo Farms in Mirboo North and Thorpdale, Victoria, are major suppliers of potatoes to Coles supermarkets and other fresh market outlets. Each year they deliver over 8,000 tonnes of potatoes to consumers all around Australia. What has changed for them over the last few growing seasons is their approach to controlling pests. In Spring 2013, Tony Cummaudo contacted entomologists Paul Horne and Angelica Cameron from IPM Technologies about helping them to achieve better control of insect pests. 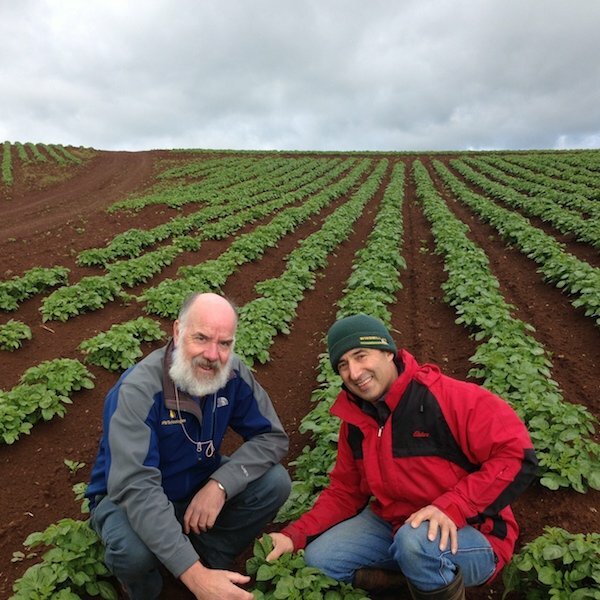 Their aim was to improve pest management, particularly reducing damage by potato tuber moth, in order to improve the quality of the product that was delivered to Coles. 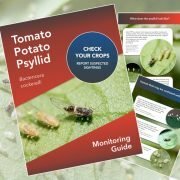 The suggestion from IPM Technologies was that Tony trial, and then if successful, implement integrated pest management (IPM) in their potato crops. Adopting IPM involved a significant change for Tony – from an approach that relied on routine broad-spectrum insecticide applications to an approach where biological controls (natural predators and parasites of pests) and cultural controls (management practices) form the basis of the pest management program and insecticides are only applied rarely, as required. 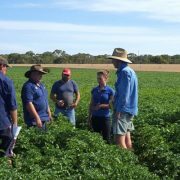 To help Tony make the change to using IPM, Paul and Angelica visited Cummaudo Farms on a weekly basis between October and March. On each visit they demonstrated how to monitor potato crops and make decisions based on not only what pests were present but also on the beneficial species that they could find. Throughout the season they gave advice regarding all aspects of insect pest management and with this support, Cummaudo Farms successfully implemented IPM for the first time. 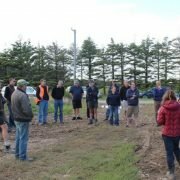 What started out as a trial on one paddock quickly became the standard practice over the entire farm. Paul and Angelica continued to offer on the ground support during the next season and after that Tony and his local advisor had gained enough knowledge, experience and confidence to monitor the crops and make IPM decisions themselves. Cummaudo Farms now successfully uses IPM, not only in all of their potato crops, but also in their expanding onion production. 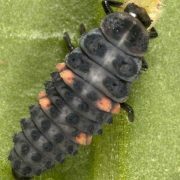 Tony only occasionally needs back-up support from the team of experts at IPM Technologies, for example when he encounters an unfamiliar insect and he needs to check whether it is a pest, a beneficial, or neither. Tony has seen for himself how powerful biological and cultural controls can be. He keeps a careful eye on his crops, checking that the arrival of any pests is closely followed by the arrival of their natural enemies. Most of the time he can sit back and let the predators and parasites control pests for him, or use cultural practices such as soil and irrigation management to improve pest control. If he needs to put a spray on during the life of the crop, he reaches for soft products that are compatible with his army of natural predators and parasites. He only applies broad-spectrum insecticides if the soil cover is inadequate to give protection from potato tuber moth after the crop has died down or been sprayed off. Cummaudo Farms’ adoption of IPM is seen by their customers, particularly the major supermarkets, as a positive move. Coles has been impressed by the quality of Tony’s product, which now consistently meets their high quality assurance standards throughout the season. Cummaudo Farms have had no product rejections due to insect pest damage since changing to IPM. 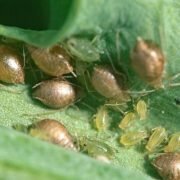 Adopting IPM has allowed them to boost the quality of their product and reduce their insecticide inputs, and both of these factors help secure the profitability and sustainability of their business.